With a varied choice of colours, textures and finishes, vinyl floor tiles can help you to create a unique look for your home. Supplied with a 12 month guarantee, at Hi-Spec Carpets & Flooring, we are confident that our products are made to last. Offering durability and style, visit our showroom in Farnworth to find the perfect addition to your decor. LVT's have an average manufacturers wear rating of 5-15 years. 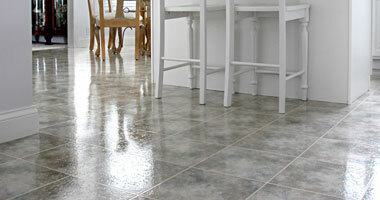 Transform your space with Luxury Vinyl Floor Tiles. At Hi-Spec Carpets & Flooring, we are passionate about supplying flooring for everyone. If you have a particular look in mind, we will do our best to help you create it within budget. If we can't find a suitable option within our range of floor tiles, we also stock laminate flooring and carpets, which are great for smaller budgets.